Let me tell you about a city that has everything you could ever want: Portland, Oregon. You want to be surrounded by gorgeous wildlife and natural wonders? Oh, perfect! Portland is for you. That’s not your speed, but you want to go to lots of cool restaurants and bars….well guess what? Portland is for you! You don’t like being social, and you smoke a lot of weed? Yes…Portland is also for you. It hits about every box on the checklist. Portland is an active place. Not only is the city a bustling place, but the people are physically active. You hike on the weekends in some of the most gorgeous forests the country has to offer, and then go to brunch. I’m all about it. This place has some historic charm and character. We stayed in the king studio suite, which had a lot of space and beautiful decor. 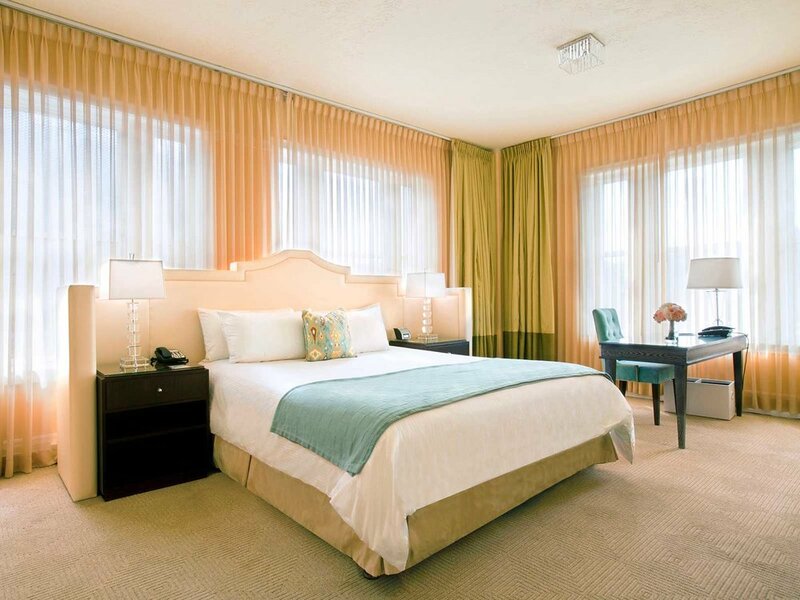 I liked this hotel because it felt charming and quaint, all the while having great service. We took the quick trip to Washington Park (right on the outskirts of the city) and did the quick hike up to the International Rose Test Garden. I’m not a big flower or plants girl, but wow, this was breathtaking. My favorite flower is the yellow rose, and I felt like I was walking into a sanctuary. This is free and truly a beautiful experience. Did you know that Portland has a lot of Japanese influence? I didn’t, but the history is really interesting. I’m not qualified to give you the full lesson, so if you’re interested Travel Portland has a great article outlining the Japanese history in the city. That brings me to the Japanese Garden! I read online that you have to go to the Japanese Garden if you visit Portland, so of course I went. I’m going to be really honest…. it was beautiful, but I’m not sure if it’s worth going to. The thing I didn’t love it is that you had to pay for entry, right after seeing the beautiful rose garden for free. For me, the rose garden was enough and I would rather save my money. But if you are interested, here are some photos! If you go to Portland and don’t take the trip to Mount Hood, you are nuts! It’s one of the most gorgeous sites in Oregon. It’s also a potentially active volcano, so I would just be sure to, you know, watch the news and make sure nothing bad will happen when you go. We went to see a few smaller natural sites within the Mt. Hood park. I highly recommend taking the 6 mile hike around Ramona falls. It’s a 3 mile hike there, and 3 miles back. 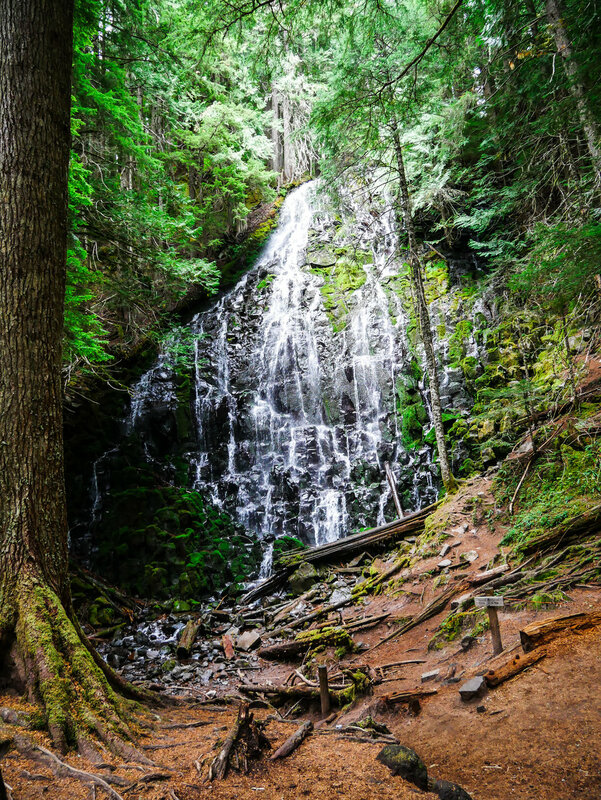 Not only are the falls beautiful, but the forest is beautiful and you get to see a lot along the way. I honestly googled "best lakes in Mt. Hood” and mapped out a route for us to see some pretty lakes. Clear Lake was pretty dried up at the time (mid-September), but it was gorgeous. You can find lots of lakes and campsites within the Mt. Hood park, so if you do drive there, you should make a day of it and explore the other areas. Another lake we stumbled upon. The nature here is really surreal. I forget the name of the one we went to, but if you’re in Portland you should really just check one out for fun. It’s so cool! This place is trennnndy. But not in the bad way. The concierge at our hotel told us that there is always a wait, and we didn’t believe her. We went at 10AM on a Thursday and guess what? There was a wait. Do people not have jobs anymore?! Either way, it’s trendy but for good reason. The food is unreal. The menu is creative new American, with a variety of options. Everyone raves about Voodoo Doughnut, but Blue Star is also a must-visit donut shop in Portland. I had Voodoo Doughnut before in Denver, so I decided to try this place out. They’ve perfected the art for sure. For dinner, we went for a casual Italian place. The pizza was really authentic here and you even cut it with scissors, which obviously makes for great #content. Obligatory ice cream stop if you’re in Portland! They’ve got some wild flavors like blue cheese and pear…yea I’m not making this up. And you’d be shocked to learn that the blue cheese and pear is totally delicious. I was told to come here for brunch, but we went for a quick happy hour snack. Either way, I loved the homey vibes and cute decor. We got the fried ravioli and pulled pork quesadilla, which did not disappoint. I regret not getting a slice of pie, which they are apparently known for.